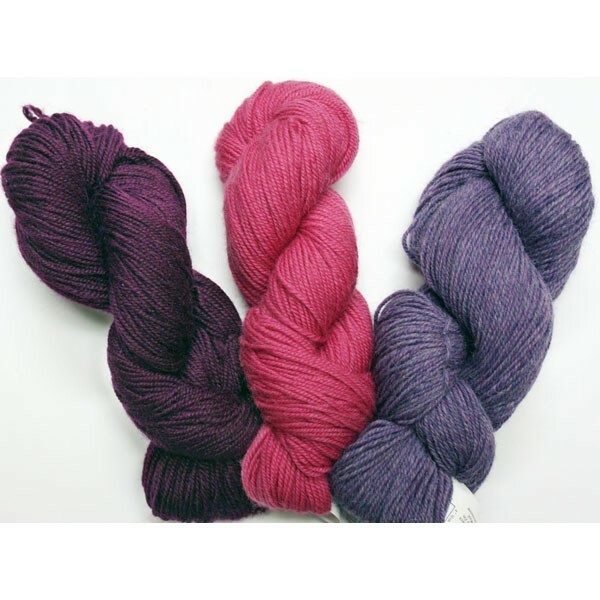 A beautifully soft blend in rich tones. Excellent for baby/toddler garments, vests, sweaters and shawls. Material: 50% Superfine Alpaca, 50% Peruvian Wool. Weight: 3.5 oz. skein Yardage: 215 yds. Approx. Gauge: 4 to 5 sts to 1 inch. Price: $12.00 Note: The mill drops and adds colors several times per year; if you see a color you love stock up. Choose the quantity for each color you wish to order and click Add to Cart at the bottom of the page. Limited Supply.